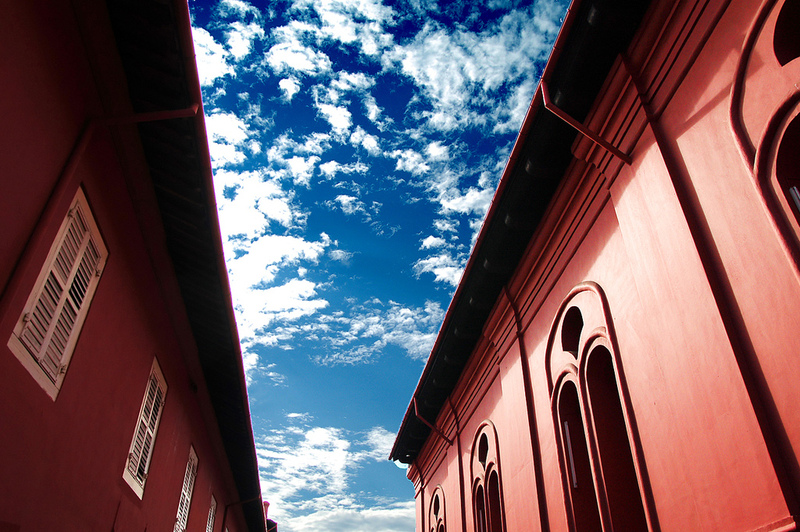 The legacy of the Dutch is still very much alive and felt in Malacca in a form of a red building called the Stadthuys. It used to be the administrative center of successive governments but now it is a history museum. The Stadthuys can be easily found as it is just beside the Christ Church. Opposite the Stadthuys is the famous Jonker Street visited by many tourists. The Stadthuys was built between 1641 and 1660 on the ruins of a fort which belongs to the Portuguese. It is believed that the Stadthuys is the oldest Dutch building in the East. 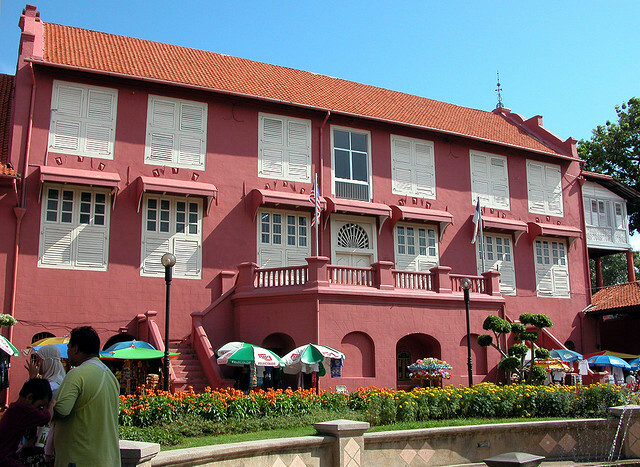 This massive red building displays all the common features of the Dutch colonial architecture which includes substantial solid doors and louvered windows. Since its completion to 1980, the Stadthuys was used as the administrative center of successive governments for a period of 300 years. 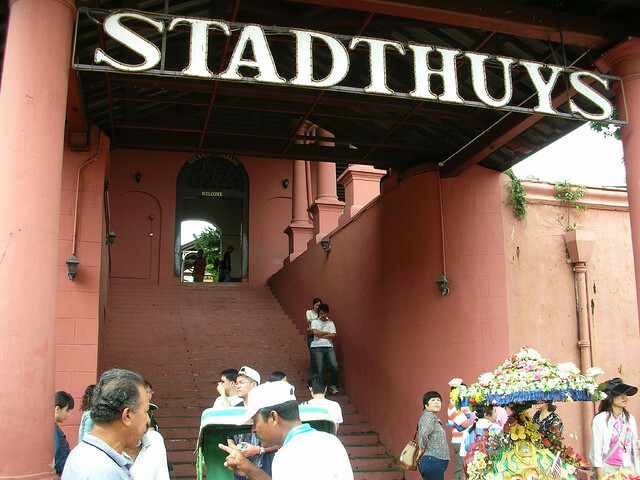 It was in 1982 when the Stadthuys was converted into a history museum which exhibits Malacca's history starting from the great Malay Sultanate and the Portuguese, Dutch and British colonization till the present day. Beside the Stadthuys is also another fine example of the Dutch architecture which is the Christ Church that was built in 1753. Attractions nearby are aplenty. 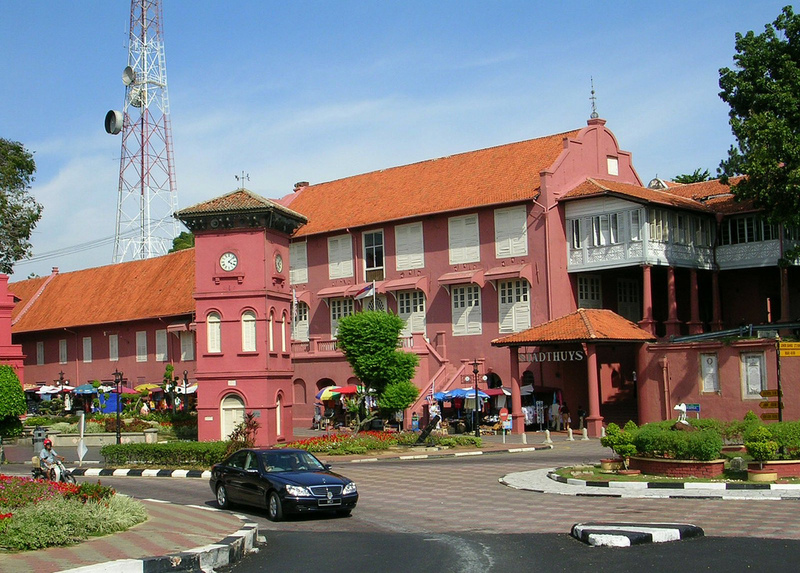 Just a short walking distance towards the opposite of the Stadthuys is the renowned Jonker Street where you can try famous Malaccan delicacies such as the chicken rice ball, nyonya laksa, cendol and so on. There are also many souvenirs which you can buy at the Jonker Street. Before you can get to Jonker Street from the Stadhuys, you will cross a river. 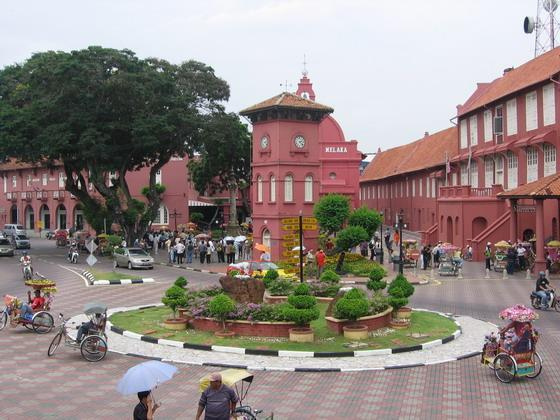 There is a Malacca River Cruise just nearby if you wish to see more of this famous area. There are also museums in the area such as the Cheng Ho Culture Museum and the Malaysian Youth Museum (Muzium Belia Melaka). Another historical landmark close by is the Queen Victoria's Fountain which is a little far from the Stadthuys but still reachable by walking. The fountain was built in 1901 but is still standing proud and not does not look like it is more than a 100 years old. There are many places to visit in this area. Further down from the fountain are two shopping complexes which you can visit as well. They are the Dataran Pahlawan and Mahkota Parade. Do consider to stay over in any of the hotels in Malacca. 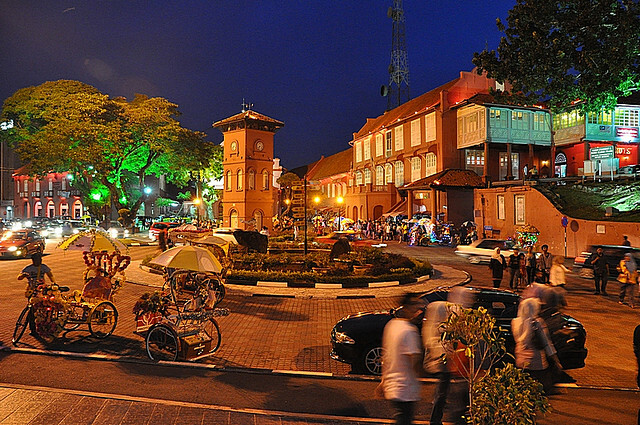 There are some hotels around the area which includes the Renaissance Hotel which is just beside Dataran Pahlawan and also budget hotels in the Melaka Raya area. There really isn't much choice when it comes to transportation in Malacca. You can either drive here or take a cab. This place is a well-known place, so it should not be hard to find. It is impossible to miss a massive red building.